In 1900 Dominick La Gravinese was born in Sammichele di Bari, Italy. He came to this country as a child with his parents shortly thereafter. 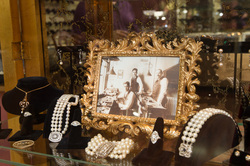 In 1917 he began our great family tradition founding La Gravinese Jewelers. From that time LaGravinese Jewelers has become one of the largest manufacturers in the jewelry industry. Our company began on Nassau Street in Manhattan and later expanded to Midtown Manhattan. My grandfather passed on the family legacy to his 2 sons, Joseph and Robert. Joseph continued in the manufacturing business and renamed it Radio City Jewelers. 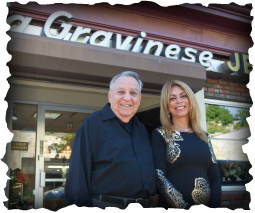 Robert, with his great personality and love for working with people, opened the first La Gravinese Jewelers retail store in Pelham, New York in 1964. Robert Sr. learned at an early age what it took to make people happy and enjoyed doing. Those values have been passed on through three generations of a family business, which are carried out today in the Original LaGravinese Jewelers of Pelham location by Bob's daughter Jeanette La Gravinese.